In the portion of Korach, which is the first Shabbat in the month of Cancer, or Tamuz, this year, the Israelites use a very interesting argument in their anger at Moses. They say, “Moses, you told us that you were going to bring us into a land of milk and honey, and you’re not doing that.” There are many other things that were promised or said about the land of Israel, so why do they specifically choose this accusation? What is the secret of milk and honey? Kabbalists teach that amongst all the things that we eat or drink, milk and honey are unique in that they come from a source that one would think is not positive. The general teaching around this is that we have the ability when we eat certain animals to elevate sparks of Light from them. However, the sparks within some animals are so concealed that we wouldn’t be able to elevate them, and as a result, would actually be pulled down if we ate them. Therefore, there are certain animals we eat and certain animals we don’t. The animals we eat have those sparks of Light we can ingest and elevate from. We don’t eat bees because they do not have sparks of Light that are pure or elevated enough for us to be able to ingest; yet, we are allowed to eat their honey. And the kabbalists teach, and science agrees, that milk comes from the blood, meaning that the nutrients needed to make milk come from the blood supply. Yet, while we are not allowed to ingest blood, we are allowed to ingest milk. 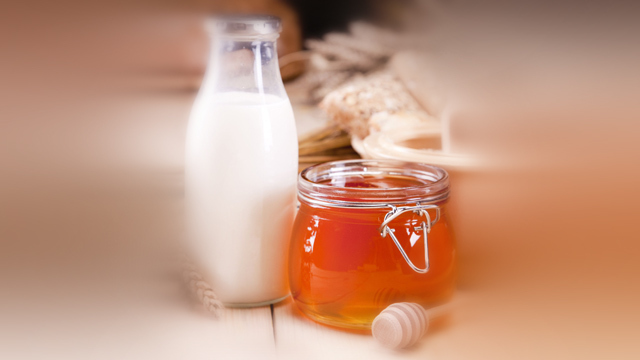 So, these two – honey and milk – are unique in that their source is not something that is spiritually right for us to eat. Why, then, is it okay to eat them? And even more importantly, because we know everything of a physical nature has an indication of a spiritual source, what is the secret of these two things? There’s a very famous section in the Zohar, in the Introduction after Rav Shimon Bar Yochai leaves this world, where Rav Chiya merits visiting with Rav Shimon Bar Yochai and seeing the soul of what we call Mashiach, and Rav Shimon Bar Yochai and the soul of Mashiach make an announcement. They say that the individual who is able to eat something that is bitter but taste it as sweet has the ability to transform darkness into Light, and knows that doing so is the purpose of life, and therefore will be connected to the Light of Mashiach. The real purpose of our spiritual work, we learn from this, is not to simply draw more Light, but to actually become a person who has the ability to transform darkness into Light, to taste what is bitter as sweet, like with the milk and honey. The work of the month of Cancer is really this work. Each one of the twelve months has a Tetragrammaton combination that is an indication of what Light is available and what the work of that month is. 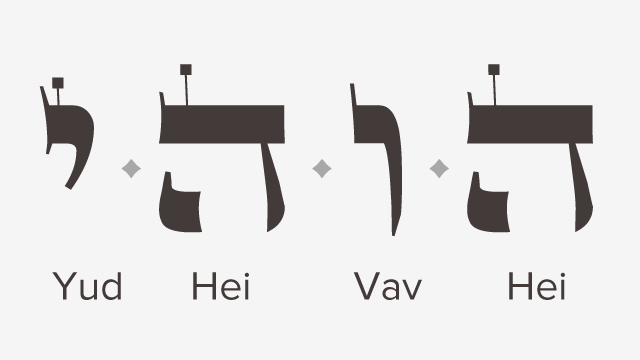 Cancer is the only month that literally has the Tetragrammaton backwards – Hei Vav Hei Yud. The kabbalists teach this indicates complete judgment; complete because you take what is meant to be right – the direct flow of the Light of the Creator – and you totally upend it and change it around. The work in the month of Cancer, therefore, is not to draw Light, but rather, to change darkness into Light, bitterness into sweetness. The work is to take the Hei Vav Hei Yud and turn it into Yud Hei Vav Hei. So let’s make it practical. What do we do to transform the darkness into Light? First, the strong physical desire for anything is an aspect that we call darkness, because it’s trying to draw our energy and sparks of Light down into the physical. But to whatever degree a person is able to resist and fight those desires is to the degree he is transforming darkness into Light. And specifically in this month, we don’t want to be drawn by our desires of the physical. Second is actually transforming the situations from darkness into Light, taking a situation that might be Hei Vav Hei Yud and transforming it into Yud Hei Vav Hei. We do this during times when things don’t go the way we think they should. It is then when we need to not only just accept it, but be joyful in it, because we know it is how the Creator wants it to be. Every single moment is exactly how the Creator wants it to be, and therefore, when things aren’t going the way we want or think they should, we accept it with complete joy, remembering it’s from the Creator. Milk and honey are the two indicators, the two spiritual sources, that teach us this concept; taking something we can’t elevate, and making it into honey or milk. That’s the secret of Mashiach, andthat’s the secret for any one of us who truly wants to do the work to bring a change to our world and transform darkness into Light. Our work should not be focused on bringing Light, especially during this month of Cancer. This month, our work should be focused on becoming an individual who has the power to transform darkness into Light. Previous Post Why Are the Mirrors Covered in a House of Mourning?